As far as philosophical worlds go, it’s hard to finder a more perfect society than the country of Utopia. In Thomas More’s masterpiece, the communist “Utopia” describes the perfect harmony where the government and people live without flaws and have the solutions to all their problems. Utopia begins with More meeting a traveler named Raphael Hythloday and they begin discussing the political topics of the time. More urges Raphael to pursue a job in the royal court, but Raphael believes that his logical and philosophical views will be ignored. Raphael then describes an island that he has recently visited where the laws are organized without flaws or contentions. The island has a collection of cities that have exactly 6000 households with an exact number of adults living in each household. The people are equally distributed in the cities and there is no private ownership. Everything is stored in warehouses, and people just request it when they need anything. Money doesn’t exist in Utopia. The cultural life of Utopia is interesting to study, especially compared to the problems our society experiences today. All able bodied citizens must work, though only six hours a day and people are encouraged to learn and study in their leisure time. Idleness is discouraged and there is always something to be done. There go unemployment problems. Their laws are all strict and simple, not being open to interpretation. For example, if a husband commits adultery, he is sentenced to a lifetime of slavery. However, there is mercy in the Utopian courts; if the husband is deemed properly ashamed and repentant and his wife is still willing to be with him, the husband can be pardoned. However, the law is still easy to understand and enforced. There are no legal debates and issues. Utopia includes a welfare state with free hospitals, so there go insurance problems. Everyone in their individual cities eats their meals in a community dining hall; there go hunger problems. No one can travel in Utopia unless they have a passport. If they travel without one, they get a warning for the first offense and then are placed in slavery for the second. There are no immigration problems. Yet there are shortcomings to Utopia. Everyone wears the same types of clothing, bland and plain and there is very little creativity. To some, that is the destruction of individualism. Spare time is usually filled with study and idle activities are banned. Slavery is part of Utopia, even if the slaves are Utopian criminals or captured prisoners from other countries. Women are subjected to their husbands and are usually restricted to conducting household tasks. Hunting and makeup are discouraged. 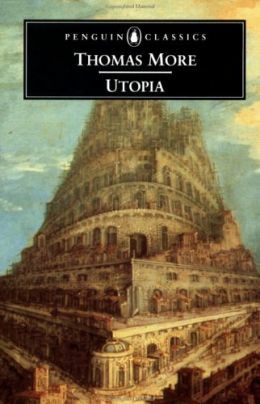 Each society has its own flaws and successes, “Utopia” explores the theory of communism and the concept of a perfect society. Heavily influenced by Plato’s Republic, More explains how Utopians handle war, religion, and social differences. For each reader, it is up to him or her to decide whether the system of Utopia is honorable and desirable, or else despicable and appalling.